In this article, we will explore how dogs learn, the four widely recognized methods of training a dog, and why you should use positive reinforcement training. Dogs learn through what’s called an adaptive process. It helps them adjust and adapt to their constantly changing world and environment. A change in environment typically results with a change in behavior; some of these behaviors are instinctive (e.g. suckling reflex in a puppy) and some are due to learned behavior (e.g. sitting for a treat). The consequence of their behavior influences, increases or decreases, the probability that they’ll repeat the action that lead to a treat or praise. Scientifically, this is known as “operant condition”: a method where learning comes with reward or punishment. This occurs in many mammals, dogs included, where the animal makes an association between a particular behavior and a consequence. A positive consequence has better results, rather than a fear-based one. When we discuss dog training, it’s important to understand exactly what that means. Dog training at its core is the process of influencing a dog to display a certain behavior. Punishment as a training method is grounded in pack theory, which we know is debunked and potentially dangerous. It argues that if a consequence is unpleasant the dog’s probability of repeating their behavior is reduced. Reinforcement dog training can be either positive or negative, and is based on providing an immediate consequence for a behavior. Positive reinforcement is a training method which uses a reward (e.g. food or praise) immediately after positive behavior. 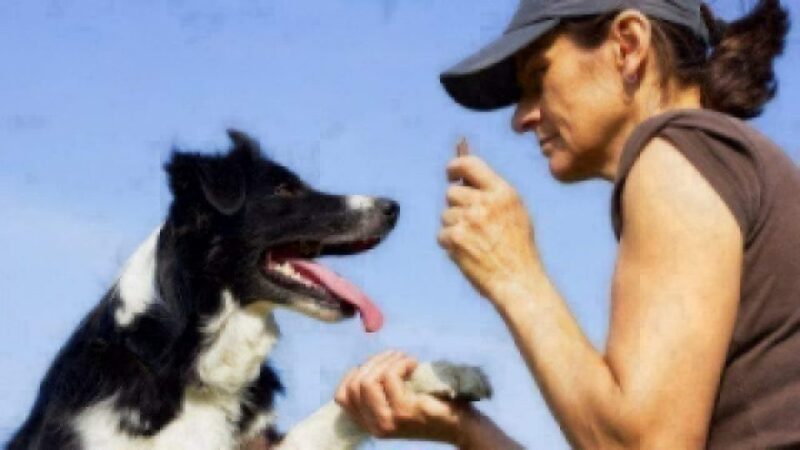 Positive reinforcement is sometimes known as reward-based training, or force-free dog training and is widely recognized as the most effective and humane form of dog training. It improves the bond between parent and pet while reinforcing the desired behavior. The toolkit behind positive reinforcement can be either food (e.g. snacks or treats), praise (e.g. “Good Boy!”) or attention (e.g. games, affection and playing). Any one of these rewards reinforces a positive behavior to help modify an existing behavior pattern. Each reinforcement increases the probability the correct behavior will be demonstrated consistently. Positive reinforcement doesn’t use force or coercion which ensures training can be fun and productive while strengthening the bond between you and your dog. Need help navigating the murky waters of dog training? 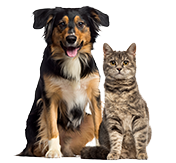 Start by going to ScritchSpot, a one-stop-site for pet parents, and check out Doggy Dan’s articles in their training hub for everything from leash training to time outs. This article was provided by All Things Dogs —a digital dog publication looking to educate over 40,000,000 dog owners on how to care for their dogs. The author, John, is a dog lover and editor at All Things Dogs. He has studied animal welfare and behavior and is a member of the Association of Professional Dog Trainers.